The meaning of a Customs Broker « What Happened to the Portcullis? The following article comes from the 22 June 2011 issue of the American Shipper. It was written by the president of The National Customs Brokers & Forwarders Association of America (NCBFAA). I do believe that it is poignant for African’s to better understand what makes trade tick. It is particularly relevant in the South African context where certain service providers and consultants believe it is they that ‘turn the wheels of trade’ and that the ‘real’ end users are merely a consequence to push the ‘enter button’. While the ‘brokering industry’ has been tainted by criminal activities (in many cases ex-customs officials) there is a legitimacy to the continued existence for the trusted customs broker. The importance is even more pronounced today where South African importers and exporters will soon face the brunt of the new Customs’ law – the need for skilled and experienced brokers should be an imperative within our local industry. So lets put ignorance aside and consider the article, below. As a third generation customs broker, I know what it takes to enter goods into the commerce of the United States. As president of the National Customs Brokers and Forwarders Association of America, I know that the customs brokerage industry consists of thousands of individuals who work for small and large, old and new, struggling and successful companies for fees that do not reflect the true value of the service they provide. It is unfortunate that some would say we “stubbornly stand in the way of progress.” The fact is that without the leadership of the brokerage industry and the NCBFAA, importers would still be taking their commercial invoices and bills of lading to the Customs House only to wait weeks for release and it would be impractical to conduct international business. If you have never cleared goods entering the United States, I encourage you to try. It is naive to believe that all a broker does is push a couple of buttons and magically goods are released and delivered to your door. To start, let’s look at the new Importer Security Filing (ISF). Pre-arrival shipment information that was considered unavailable three years ago is now given to U.S. Customs and Border Protection prior to loading for more than 90 percent of the goods heading by vessel to the United States. Customs brokers or freight forwarders receive and process practically all that information before transmitting it to CBP. What if you didn’t have access to the broker’s Automated Broker Interface system or the forwarder’s Automated Manifest System connection to transmit this data? How would you send the ISF? How would CBP receive it? 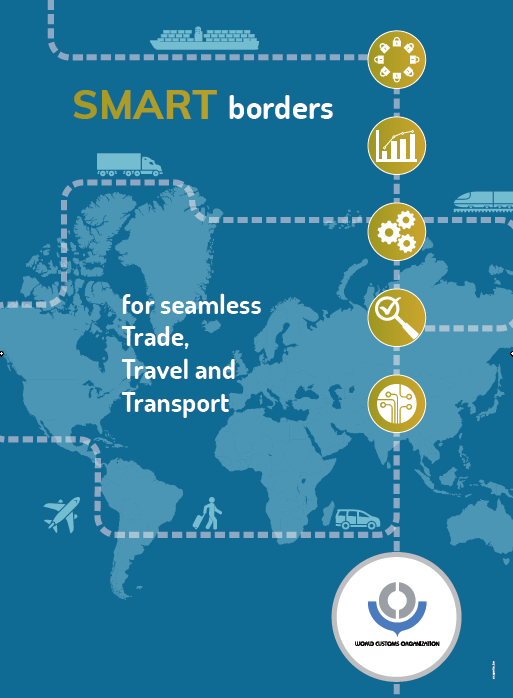 Would every importer have to establish and maintain a CBP-compatible computer system? At what cost? CBP Commissioner Alan Bersin has said that other agencies generate two of three import exams. In addition to myriad CBP regulations, there are numerous other regulations you must know to import successfully. Do you know the Food and Drug Administration rules? What about the Bio-Terrorism Act — did you research it yourself or hire another industry expert to figure out how this was going to impact your company? Then there are FDA product registrations and Prior Notice requirements and now the new Food Safety Act. Of course your broker can help with that. The U.S. Department of Agriculture, Environmental Protection Agency, Federal Communications Commission, Transportation Department — more than 20 agencies with requirements that must be met every time a shipment is presented for entry. Anti-dumping, free trade agreements, quota, denied parties, State Department, International Traffic in Arms Regulations, Office of Foreign Assets Control, etc. Can you imagine what would happen if your broker didn’t know about those things? How would your goods get cleared? Would your goods be detained or seized? What if multiple shipments were en route when the problem was identified? It is a good thing that you have somebody in your corner paying attention to this stuff. I hear over and over how CBP wants to reduce the cost of importing. 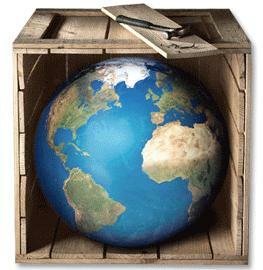 Let’s review the costs associated with importing: Freight ocean/air, duty and customs fees, broker fee and delivery fee. Freight we can’t control, duty is a given, Merchandise Processing Fees and other government fees we cannot control. There are exam fees, Vehicle and Cargo Inspection Systems exam fees, storage fees caused by exams, VACIS handling charges by some carriers and port facilities, trucking fees to get containers positioned for exams, and so on. A great number of these costs are a result of government security efforts. The broker fee averages about 0.1 percent of the cost of the imported goods, and then there is the truck fee plus a clean truck fee to pickup and deliver the goods. Hmm … what should be reduced? During the CBP Trade Symposium, the Consumer Product Safety Commission (CPSC) described a tip about two containers that might contain non-compliant goods so they worked with CBP to perform an intensive exam. Luckily the tip did not pan out and the goods were found to be compliant. “Disaster avoided!” What CPSC didn’t say or didn’t know was that the storage and handling costs associated with having two containers held for two weeks exceeded $4,000. There was also no mention about whether the goods were time sensitive. At most ports in the nation, if a government agency puts a hold on a shipment, the expenses do not go on hold. Demurrage and per diem costs accumulate daily. Who creates those extra costs? I suggest that those who want to reduce the cost of importing consider where the real costs are being accrued — it is not in the brokerage industry, which works very hard to help reduce the cost of importing. That leads to the discussion of using brokers as a “multiplier” to reach small and medium-size importers. That is, in fact, what brokers do for the thousands of importers who know their product but have limited knowledge of the importing process. We get the importer’s goods cleared through the maze of government regulation and delivered to them within days of arrival into the United States. Talk about a multiplier. The fact is that we do that for businesses of all sizes, from the biggest multinational corporations with multiple import divisions and thousands of different products to the start-up business with a single product. Moreover, we do it every day … routinely. Let’s talk about the Automated Commercial Environment. Do you know why few brokers use ACE? The system doesn’t always work and you can’t use it to release a shipment into the commerce of the United States. While you can use ACE for certain entry related functions, to the extent that brokers do utilize ACE, they must maintain two operating systems and train their personnel to perform limited tasks in both systems. What a nightmare! Talk about inefficiency and the bloated cost of importing! We would love to have ACE working as promised. For more than 10 years the brokerage industry has gone to Congress and asked for money for ACE development. Three billion dollars later, the system is a fraction of what was promised and we have been told it will have reduced functionality in many of the areas that are crucial to our businesses. Would you change to a new system if it was worse than the one you currently use? The answer is “no” and neither will we. Two years ago, the NCBFAA gave CBP a white paper that outlined the minimum system requirements needed before we would encourage our members to make the switch. Once ACE development has met those minimum requirements, we will encourage our membership to transition to the new system. CBP understands exactly where we are on this and we continue to vigorously support ACE development. We are excited about the progress that Cindy Allen has made in her limited time as the ACE project leader. That gives us hope that this endless project will have value and will be completed before we all retire. The brokerage industry is comprised of highly regulated, dedicated professionals who must pass a rigorous examination to become a licensed customs broker. Did you know the annual pass rate for this examination is less than 10 percent? That is a lower pass rate than the CPA exam, the attorney’s bar exam, doctor medical boards, or the insurance broker exam. Talk about tough. Five years ago, the NCBFAA developed a six-month certification program called the Certified Customs Specialist (CCS). At the outset of the program, licensed brokers who wanted to participate were grandfathered into the CCS program, but had to earn 20 units of continuing education annually. Interested parties who were not licensed customs brokers, brokers who missed the grandfathering, and anyone who simply wanted to learn more about the import process, could enroll in the CCS program. We encourage anyone with a desire to learn more about the importing process to take the CCS course. In our role as professionals we know that we must keep current with the regulatory changes and in an industry where change occurs daily, annual continuing education is important. We appreciate the recognition that the brokers are the most knowledgeable and trade savvy individuals to effect positive change on their industry. We are the biggest supporters of ACE, ISF, Customs-Trade Partnership Against Terrorism and other government programs that are reasonable and improve trade facilitation. We make the highly complex, tightly regulated and difficult process of importing into the United States so easy that not only the biggest corporations can do it but also the smallest ones can do it just as well. We welcome positive change but, yes, we are stubborn when promises made to us are not kept and the costs associated with short-sighted, ill-conceived programs are dumped on our industry and the trade. There’s a lot more to customs brokerage than pushing a button. Licensed customs brokers handle more than 95 percent of the entries filed with CBP with the single goal of getting our customer’s goods entered into the commerce of the United States legally, quickly and as efficiently as possible. And we do it proudly, professionally and humbly. Is this situation any different elsewhere worldwide?